We have a featured advertising spot in Hungry For Hits, called the Ad Spotlight. It is located on the best spot on the member home page, and also on the letter and icon hunt page in surf. You will also be rewarded for viewing the Ad Spotlight. Whenever there is a new Ad Spotlight, you can click the text in the spotlight saying “Click here to view it and get a prize” to receive a little credit prize. 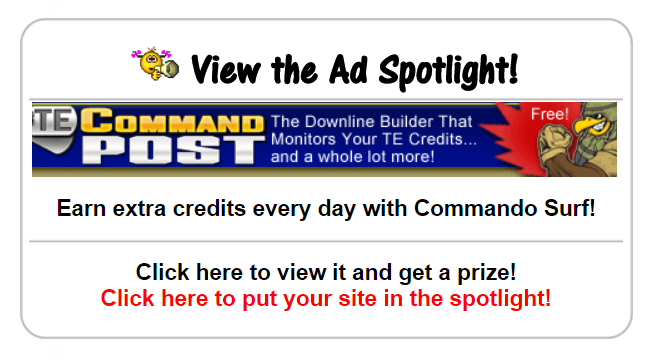 You can also get your site in the Ad Spotlight simply by purchasing it with your credits. There is a set time for each member level before anyone else is able to take over the Ad Spotlight, so anyone who buys it is guaranteed to keep it for a period of time. The price starts at 50 credits, but if someone else wants to buy it within 4 hours, the price goes up with 25 credits. The price will keep increasing until no one else buys it, and then it will display for 4 hours until it resets back to the default ad and the price goes back to 50 credits. 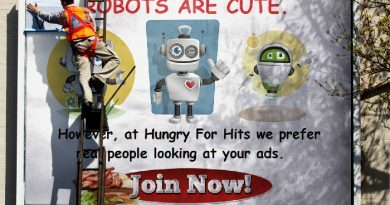 The default ad may be given out as a prize in contests in Hungry For Hits as well, since so many people see it so often and get rewarded for viewing it. In the “Website URL” field, add your website, referral link, or whatever it is you want to advertise. In the “Banner image URL” field: Add a picture link, no referral link. This is optional, but it looks better. If you are unsure, open the image URL in another window to see if it displays correctly. Please use https, if the site you are advertising supports it. Click “Get the Spotlight” button, and your ad will appear. When a member wins the default Ad Spotlight in an event or contest, they will receive a private message with instuctions. 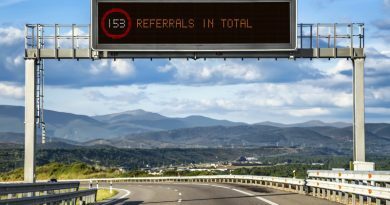 Hiya – this is a very cool idea, really – I’m recommending people use traffic exchanges so they can brand their stuff & test the effectiveness of their banner ads. As a highlighting method for banner ads this must work well for you at HFH. Hi Andre! Yes, in combination with a short sentence about the site advertised, it can have a big impact! Thank you!